India- Sri Lanka separated by North: Palk Strait , South Gulf of Munnar. Horizontal Tricolor – deep Saffron(Kesaria) on top , white in middle & dark green at bottom. All bands equal in width. Centre of White band lies Navy-Blue Wheel representing Chakra. Design Chakra: As appears on Sarnath Lion Capital of Ashoka. Design of National Flag: Adopted on 22nd July 1947 by Constituent Assembly. An adaptation from the Sarnath Lion Capitol of Ashoka. 4 lions sitting on top, only three are visible. Below Wheel appears with Horse on Left and Bull on Right, separated by Chakra in Middle. Words, Satyameva Jayate are inscribed below in Devanagri Script. Phrase “Satyameva Jayate” is taken from Mundaka Upanishad, and means ‘Truth Alone Triumphs’. Emblem adopted on 26th January 1950. Hindi version adopted as the National Anthem of India on 24th January 1950. 5 Stanzas takes approximately 52 seconds. First Sung in 1896 Annual Session of Indian National Congress. 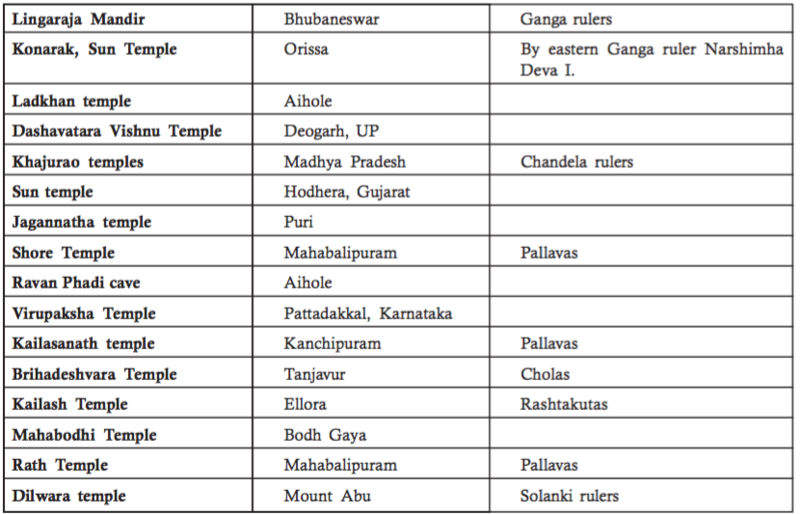 First Day: 1 Chaitra falling on 22 March in normal year & 21 March in Leap year. Adopted on 22nd March 1957. Adopted by Central Advisory Board on Education to be sung in Schools. The symbol is an amalgam of Devanagari “Ra” and the Roman Capital “R” with two parallel horizontal stripes running at the top representing the national flag and also the “equal to” sign. Symbol Adopted 15th July 2010. 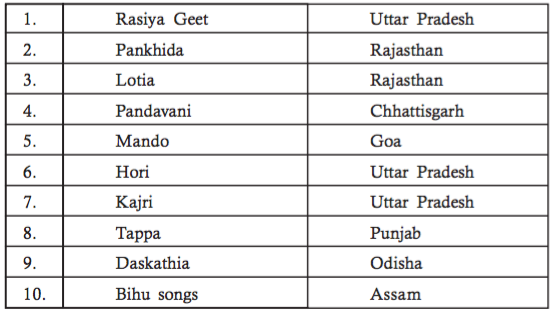 Further, we have 22 Other Official languages (Specified in VIII Shedule of Constitution): Assamese, Bengali, Bodo, Dogri, Gujarati, Hindi, Kannada, Kashmiri, Konkani, Maithili, Malayalam, Manipuri, Marathi, Nepali, Odia, Punjabi, Sanskrit, Santhali, Sindhi, Tamil, Telugu, Urdu. 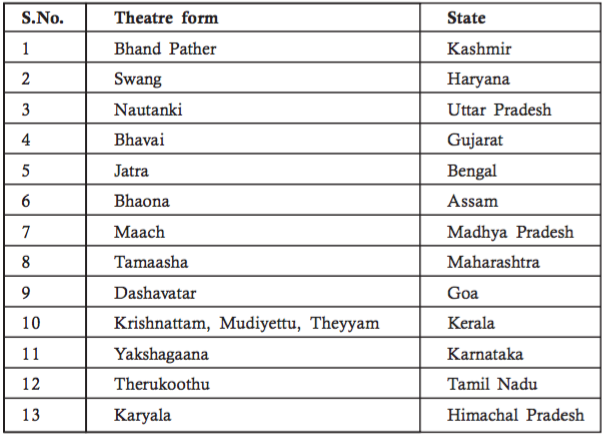 The term “classical” (Sanskrit: “Shastriya”) was introduced by Sangeet Natak Akademi to denote the Natya Shastra-based performing art styles. 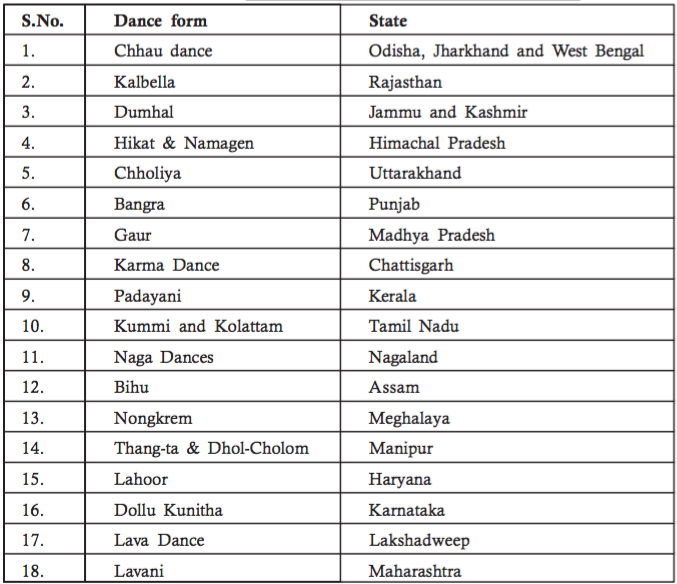 Hence, Classical dances are dance forms recognized by Sangeet natak Academy as Classical dance.